Sturken Auto Body Auto and RV Repair is a full service automotive company focusing on quality personalized service and repair of our clients damaged or broken vehicles. The philosophy at Sturken Auto is making the best of a bad situation. This means handling all aspects of the repair and claims process, and treating our customers with respect as well as empathy. Fifty years of consumer relations have taught Sturken's that service is everything. This realization has helped to propel the company to the top of our field. One of the benefits that the company provides is information. We've realized that the average person doesn't have a lot of technical knowledge or get involved in an accident very often and they usually need help. Help during a trying situation is what we do best! Second generation president Stephen Sturken was raised in San Jose and holds a Bachelors degree from S.J.S.U. He has worked in the automotive industry his entire life. Stephen held a position with a major insurance company and had the unique opportunity of working on the other side of his industry. This allowed him to improve his understanding and improve his skills. 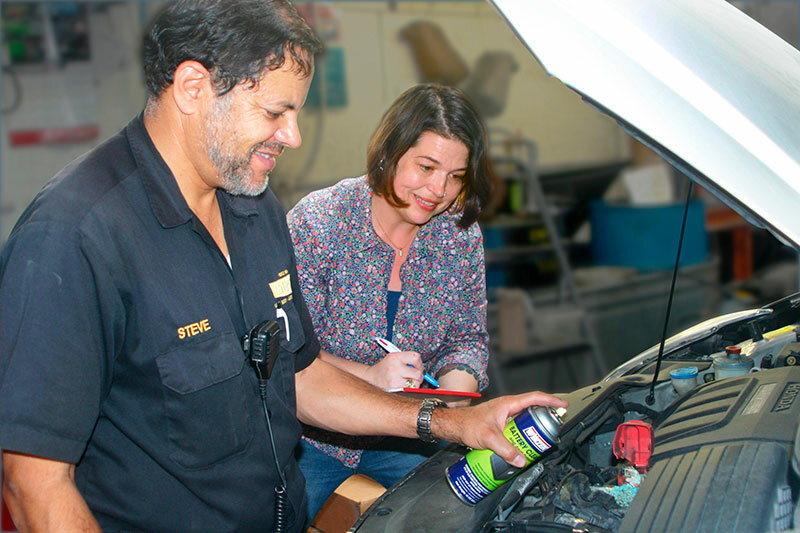 In 2009 we started Berryessa Auto and RV Repair in an effort to offer our body shop clients a more complete service experience. We offered Mechanical and RV services. While that business is doing well the efforts and expense of operating two separate companies did not make sense anymore. So in the Fall of 2010 we absorbed that business into our parent company of Sturken Auto Body Inc. The combination of the two identities is now called Sturken Auto Body Auto and RV Repair. Mr. Sturken is an entrepreneur driven to be at the forefront of his industry. His desire to be the best at what he does is passed down to all of those in his organization. His Technicians are required to become certified in their respective duties by national entities such as Automotive Service Excellence (ASE), Inter-Industry Council on Auto Repair (ICAR), Recreational Vehicle Industry Association (RVIA and numerous ongoing individual schools and seminars. For references or further information on Sturken Auto Body Auto and RV Repair or any of its services, please contact Steve Sturken or his staff.